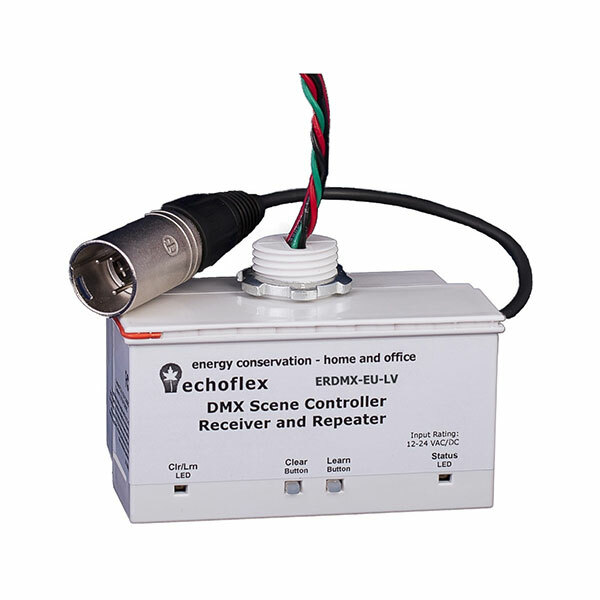 The ERDMX-EU-LV interface is powered by low voltage (9-24VDC) and will accept inputs from up to 2 dual switches to switch on or off, dim up or down or to select pre-programmed lighting scenes. The ERDMX now has a DMX “snapshot” mode, where up to 8 DMX scenes can be recorded using any industry standard DMX controller. These scenes can then be recalled and modified by PTM up/down master switches.